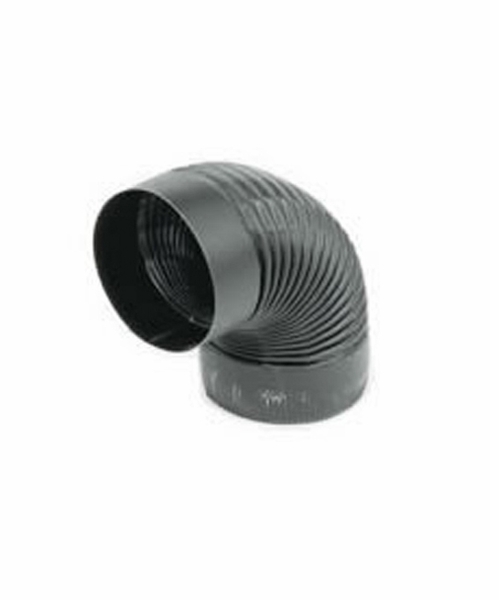 The Snap-Lock Black Steel 90-degree Stovepipe Elbow is made to connect stoves to chimneys allowing your stove to be properly vented. The 90 degree angle allows for venting obstructions to be offset easily. The 24-gauge steel construction makes it sturdy and reliable for everyday use; allow an 18 inch clearance to combustibles. It is easily connected to other Snap-Lock products with a 6inch diameter and has a sleek black finish to blend in with your homes surrounding decor.